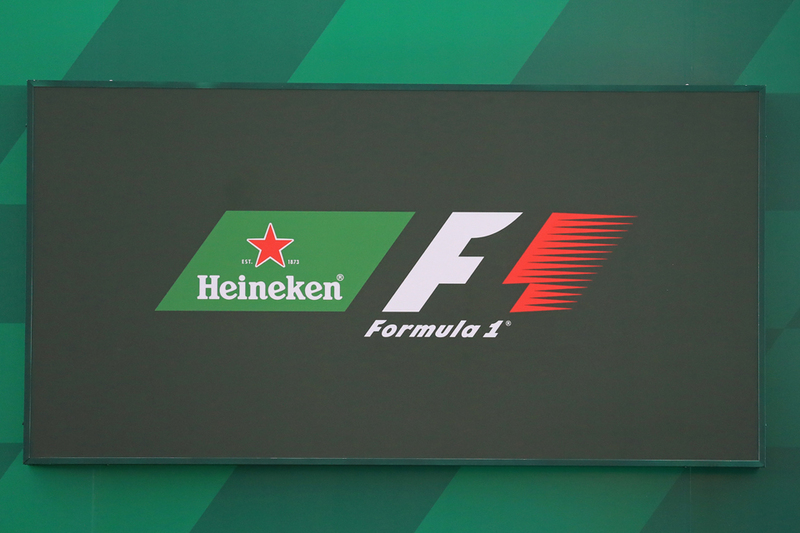 Heineken's new Formula 1 partnership means the brand will be the title sponsor for three Grand Prix each year as part of a huge multi-million dollar deal. What's more, Heineken's bid to extend its reach into F1 will also see it become involved with two teams: these teams are yet to be officially announced but one is strongly tipped to be Red Bull. 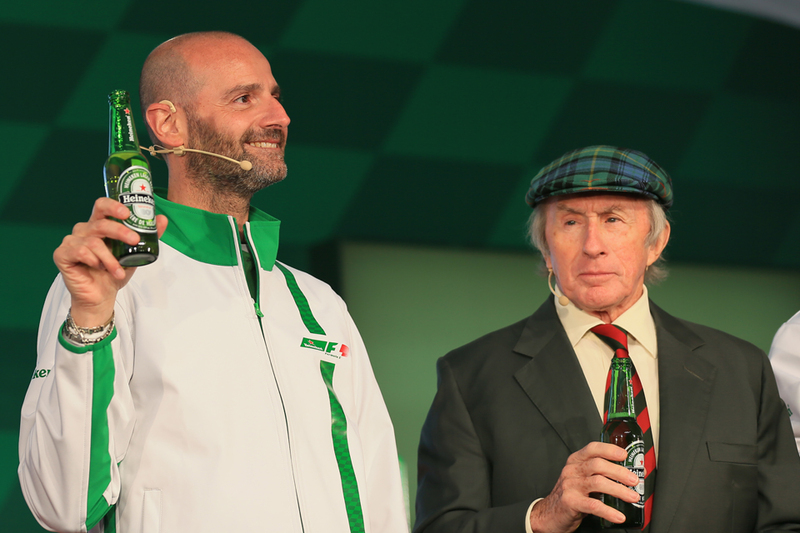 Heineken has vowed to 'drag F1 into the digital age' and is certainly set to make the most of its new sponsorship opportunity, recruiting F1 legends Sir Jackie Stewart and David Coulthard to serve as its ambassadors within the sport. When it was announced that Heineken would be the latest F1 sponsor some may have doubted that the brand was the right match. After all, a motor sport, a culture where drinking behind the wheel is strictly discouraged and widely prohibited, and a beer brand simply didn't seem like a natural fit. 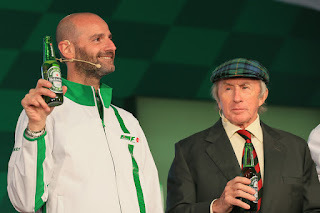 However the brand has silenced the naysayers with its first campaign since the sponsorship deal was announced that encourages responsible drinking and uses F1 race legend (and road safety pioneer) Sir Jackie Stewart to star in a TV advert that tells fans 'When You Drive, Never Drink'. The campaign is hoping to particularly target teen drivers (and F1 fans) whose inexperience behind the wheel (and inexperience in consuming alcohol) leaves them most at risk of injuring themselves, injuring others, and even death when they choose to drink and drive. According to the American Center for Disease Control and Prevention, ​every day in the United States 28 people are killed in motor vehicle crashes that involve a driver who has been impaired by alcohol. This equates to one drink driving related death every 53 minutes. Last year one in ten teens reported that they had drunk driven their vehicles at least once, so clearly there is a lot of work to do in reinforcing this message. This campaign, launched in conjunction with that sponsorship, will be rolled out during the latter part of this year and will also be used throughout 2017. Imagery from the campaign will also be featured heavily throughout the Italian Grand Prix. The second campaign the brand is entitled 'more than a race' and the aim is to provide a fascinating insight into the behind-the-scenes world of F1, showcasing that a race weekend involves so much more than a two hour race and allowing fans to really see and understand all of the hard work happening behind the scenes during a race weekend: an insight many race fans are sure to welcome. When asked about the campaigns and the motivation behind them, the senior ambassador for the global Heineken brand, Gianluca Di Tondo, said that: "We have partnered with the ideal ambassadors for each campaign. Sir Jackie's track record in road safety is unparalleled, with nearly 50 years of pioneering work. He'll be heavily involved in the wider 'When you drive, never drink' campaign for Heineken. David embodies our 'More than a race' activity, he enjoyed a highly successful career as an F1 driver, and now has a multi-faceted role in the F1 community." The initial focus will be on their campaign to reduce drink driving, and to firmly position themselves as a brand that does not advocate taking risks behind the wheel. This isn't the first time Heineken has shown a commitment to responsible drinking as part of its sponsorship campaigns. During the recent Olympic games in Rio the brand ensured that for every glass of beer it served it also served a glass of water, in order to encourage responsible drinking, and dissuade fans from binge drinking (arguing that no one should miss the sporting action because they had had too much to drink the night before). Here's hoping that its F1 sponsorship commitments continue to reinforce positive messages surrounding responsible drinking to racing fans across the world.